Now SLAYER and DIR EN GREY have comfirmed to perform in Japan biggest metal festival LOUD PARK 12 at Saitama Super Arena in Japan on October 27th. Tickets are now available. 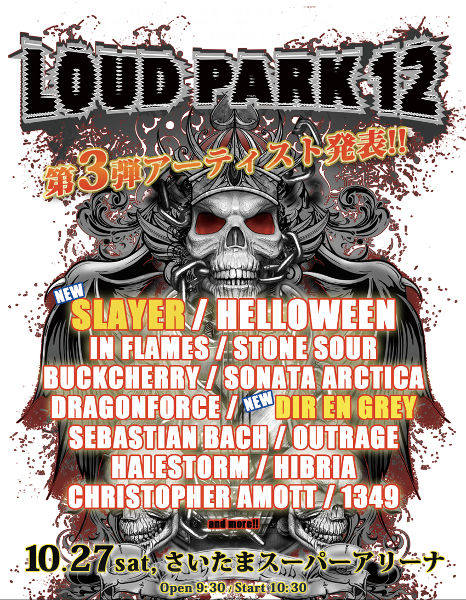 For more latest info on LOUD PARK 12 website.